At Locksmith Tarzana, no job is too tough for us to handle! Do you want to finally relax knowing the locks on your home are protecting you and your loved ones? Did you lose your chipped car key? Are you locked out of your home, vehicle or business? Don’t waste any more time! 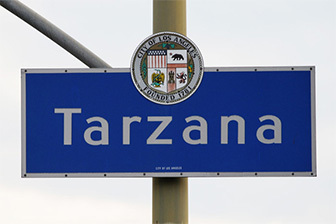 Contact Locksmith Tarzana and we’ll get right to work! Our competitive rates will blow you away, working with any budget. We provide a comprehensive menu of locksmith solutions for vehicles, homes, and businesses. Call or email Guardian Angel Locksmith in Tarzana today and we’ll get right to work! Locksmith Tarzana also services commercial buildings! Security solutions are always available and only 1 phone call away! Our associates can set up CCTV surveillance, install wireless outdoor security cameras, install high security locks, purchase safes or have your safes repaired or unlocked. Call us at (818) 652-5269 to learn more about any security camera system you might be interested in installing. If you have ever been locked out of your car, you know the moment of panic when you realize you left your keys home or shut the door with your key in the ignition. At Locksmith Tarzana, we’ve heard a lot of stories. And, we know how important it is to get an emergency locksmith there quick. Locksmith Tarzana will be there in a jiffy to help you get back on the road. We offer fast, friendly service, 24 hrs a day. Call, email or text us and we’ll be on our way.